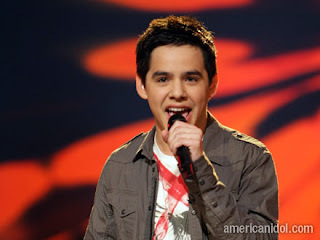 David Archuleta from American Idol. ADORABLE. Jaclyn and Jeremy call him Little Man Tate. I want to adopt him and he can live with us and I can just tell him to sing whenever I feel like it. Paula Abdul said she wants to dangle him from her rear view mirror. I concur. I am becoming more and more obsessed with Jon & Kate + 8. Does anyone else share this with me? I LOVE their show. I think it is so real and so honest, and HILARIOUS. Did anyone see the other night when they were traveling to Utah for a ski trip? Kate said that if their lives were a book it should be titled "Inconvenient Peeing", and then Jon said that the sequel would be called "I'm Sorry Your Shoes Are Wet". CLASSIC. 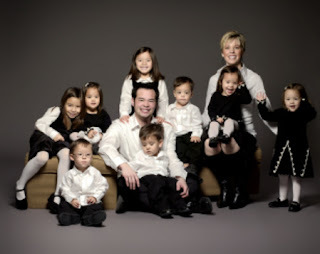 Plus those kids are SO CUTE! This has become my newest at-work companion. Zero calories. Zero grams of fat. Zero carbs. Holla! My mom put one of these books in me and my sisters' stocking for Christmas. It is a little book of prayers, one for every day of the year. I read one each morning before I head out the door to go to work. It is WONDERFUL. Short, sweet, to the point, but very moving. It is a great way to start the day! 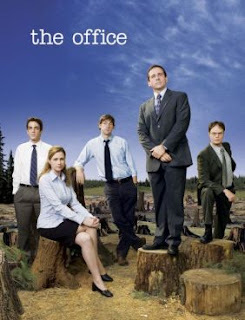 And last but not least, THE OFFICE IS COMING BACK! After a seemingly never ending writer's strike, they have announced it will be back April 10! Hallelujah and Amen! 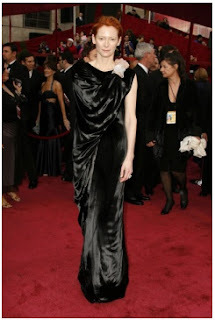 So last night was the OSCARS!, or, as Grant lovingly refers to it, "Jen's Superbowl". I confiscate the remote on this day every year and sit in my pj's. Sadly, this was kind of a "blah" year for me since I didn't really care about any of the movies nominated. But, on to the dresses! HOW PRECIOUS ARE THEY??? AND SHE'S PREGGERS! LOVE IT! I am all about the red heads rockin out the jewel tones! I also adore Amy Adams. Kudos to her for her adorable little performance of the song from Enchanted. NAY. This reminds me of a pond for some reason with lily pads. I feel like a frog should be on this dress somewhere. Not cute. NAY!!! THERE ARE NO WORDS. I am concerned about that dress. Seriously. This song really got to me today, I love the lyrics. They are so simple but so profound. May it comfort those who need comforting, and encourage those who need encouraging. I have been sick the last few days. Louisiana has had a virus floating around from person to person and I was one of the lucky ones to get it! I was just starting to feel almost back to normal from the wisdom teeth extravaganza, and then this little illness came in for a visit. Lovely. Basically it was sore throat, coughing, and MAJOR sinus issues. Also I lost my voice really bad. I went in to work on Monday (bad idea) and I took the day off yesterday. I went to the doctor, who perscribed me all kinds of happy pills AND gave me a cortisone shot. I am not a huge fan of shots, however, I will say that over the years the cortisone shot has become one of my dearest friends. Through my years of allergy crud, Cortisone pulled me out of many a horrible situation and restored my voice to 100%. My doctor looked at me kinda puzzled when I said "YAY!". I already feel SO much better and am so thankful for cortisone! Last night Grant and I had a nice little evening at home. I made Crispy BBQ Pork Chops and they were YUMMY. We watched American Idol and Grant played guitar and it was just a nice evening. I feel like I had a VERY restful day yesterday. Praise the Lord! Anyways, I am back at work today, feeling about 85% normal and functioning much better than I was yesterday. I went around the office this morning with lysol disinfecting wipes and wiped down all the phones and the copy machine and door handles, etc. I was the 3rd person in this office to have this little virus and I don't want it to keep spreading! 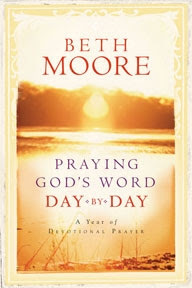 Something interesting that happened to me this morning.... for Christmas, something my mom put in our stocking was this daily prayer book by Beth Moore. For every day of the year there is a small prayer, maybe 2 or 3 paragraphs long that you can just read and pray throughout the day. There are scripture verses in there and it has been so so nice for me to do that every morning as I am getting ready for work. Well, this morning I was running a little late, and I went to my nightstand to get the book and I started thinking to myself "I don't know, maybe I should just read it when I get home, I am pretty late". So I put the book down on the nightstand, and I saw the back cover for the first time. In large letters it said "Beloved, you are never wasting time when you are in the Word of God". OKAY! I AM READING IT NOW! And of course, it took me all of 2 minutes to read through it and I am SO glad I did. Talk about getting your attention! Hello! And welcome to Jen's Valentine's Day Photo Spectacular! The first photo is the roses that welcomed me as I walked in the door from work yesterday afternoon. Please ignore my plain white walls. I live in an apartment, it isn't my fault. This photo is of the GORGEOUS tulips that awaited me as I entered my bedroom! What a doll my husband is! This is just for the heck of it :) I took a picture of a picture! This is one of my favorite photos from our wedding. Hubby is so handsome! And another picture of a picture... poor quality, I know, but how PRECIOUS is this? It is outside of our reception hall. Love. It. Hi precious ones! I am feeling a little bit better since I last wrote to you. I am still very very sore. I think my doctor may have had a bad day the day of my surgery, and had some anger to express. That must've been the reason why I believe he punched me in the face 4 or 5 times before waking me up from the anesthesia. My head feels like it got hit by a truck! Yesterday I was checking my mail, and one of the sweet maintenance men at the apartment stopped me and said "Oh, Miz Jennifuh, there is something green on your face". I smiled sweetly and said "Oh, it's just some bruises Mr. Troy. They were once black and blue and now they have turned a yellowish-green shade". Lovely. Today is the first day I have put on full make up in a week. For the love. I was putting on my foundation this morning and was realizing that my L'oreal True Match make up was not going to cover up my bruises! For the first time in a LONG time I wished was wearing my stage make up when I did musicals. We had to CAKE that stuff on our face. It felt awful, but I could change my ethnicity with that stuff! HA! I am very excited about tomorrow night! Our Bible study group is having a fondue dinner for Valentine's Day! (Have you even been to the Melting Pot? DELICIOUS!). Well we are making our own little mleting pot restaurant. I will post pictures! Don't hold me to that, ya'll know I am bad about bringing my camera places. My dear friends, I must confess to you..... I write to you this morning as a much less cheery Jen. I am not my happy self. I had my wisdom teeth out on Wednesday morning. I believe that I regret my decision, being that it is now Saturday and I feel beyond dreadful. Tuesday night was fun. My mom flew in from Houston and Grant and I had a lovely dinner with her at Superior Grill where I ate lots of chips and queso and mexican food. Tuesday before I went to bed, my doctor instructed me to take a valium. So I was feeling quite dandy. Wednesday morning, I woke up and took another valium. So I was quite relaxed. I went in and had the surgery. Everything is pretty much a fog surrounding that. However, the doctor told my mom and Grant that my two bottom wisdom teeth "gave him a really hard time" and Grant said he heard the drill from the waiting room! AGH! The anesthesia and pain pills kept me pretty happy most of Wednesday, if not just throroughly confused. Apparently I asked Grant the same questions multiple times, and my time frames were all screwed up. Anyways, then it came time for the heavy duty pain pills now that the anesthesia was wearing off. Oxycodone is what I was perscribed. Alot of people love oxycodone. They get addicted to it. I wouldn't know how I feel about it, because every time I tried to take it I threw it right up. That's right folks. I have some kind of reaction to the pain pills and the only thing I've been able to stomach (literally) has been over the counter Motrin. Now, I must say, my mom was AMAZING while she was here. (She left yesterday. Sad.) And Grant has been such the caretaker. I woke him up in the wee hours of the morning this morning begging him to get me more motrin. He has done everything without complaining and with such a tender heart. I have been well taken care of. This was the interesting part though: because the doctor pretty much had to beat me up to get the bottom two teeth out, for 48 hours I had to wear this head wrap made out of gauze. So not only was I puffy already, now my fat face was puffing itself out of tightly wrapped bandages. I looked HOT ya'll. I have had several wonderful visitors. Aside from my amazing mom flying all this way to see me, my dear sister-in-law Ronda came by, who is still recovering from her own surgery, as well as Katie & Mo, who brought me a million chick flicks (Grant is thrilled), and yesterday Grant's mom and grandma came to visit and brought us soup and red beans and rice. YUM! I am eating lots of soups and jellos' and pudding. I was kinda excited when I got on the scale yesterday. It hurts to smile though. Yesterday, mom and I ventured out to the outlet mall. 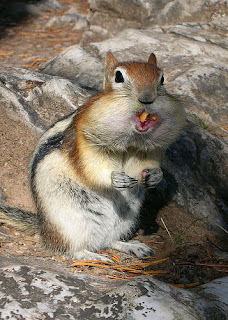 I was prepared for the chipmunk face- but I was not prepared for the bruises. Ya'll, this doctor did a number on me. My face looks like it belongs in a Lifetime: Television for Women movie about battered women. It could be called "He Wouldn't Stop" or "She Finally Said Enough" or something like that. I think this woman in the Gap almost stopped me and gave me a phone number for a women's shelter. So here I am, still puffy faced, still healing, and taking the most Motrin I can possibly take without dying. At this point I want to rewind. I want all four wisdom teeth BACK in my head. I told Grant around 3:00am that I would rather be unconscious for the next week and that someone should wake me up when the pain was gone. Sorry I'm not a very nice girl today :( I have loved reading up on all you ladies though. Pray that I feel better by Monday when I have to go back to work! **UPDATE: Last night before bed, I mentioned to Grant that if I made some really really ooey gooey pancakes and saturated them with syrup, I think they would be soft enough for me to eat without chewing. Just as I clicked "publish post", Grant came in with two small, ooey gooey pancakes that were INCREDIBLE. I am very well taken care of! Have you ever had a worry attack? For the past 48 hours or so I have been a nervous wreck. Worry, worry, worry. I am worrying about big stuff, things that are MAJOR life decisions that get my stomach all in knots. And I am also worrying about small stuff, tiny details that aren't a big deal at all but for some reason they consume my thoughts. I am worrying about things that are years and years down the road and I have NO control over them whatsoever, but for some reason I am trapped in my anxieties. "Don't worry about anything; instead, pray about everything. Tell God what you need, and thank Him for all He has done. If you do this, you will experience God's peace, which is far more wonderful than the human mind can understand. His peace will guard your hearts and minds as you live in Christ Jesus" -Philipians 4:6-7 (NLT). A few things slapped me in the face here, the first one being that I need to THANK HIM for what He has done. My worries are far outnumbered by the amazing blessings that the Lord has bestowed upon me when I am far from worthy of them. I must remember to be thankful in all of my circumstances. Secondly, I am all about that word peace. What I am hearing here is that if I pray about all this, it doesn't necessarily mean that my problems will be solved and I will get an answer to the thing that is five years away and stressing me out. A solution may not come to surface, but I will have PEACE. This constant worry will not consume me.